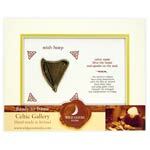 Framed St Patricks Cross – Wild Goose Studio  - £19.99 : Traditional Irish Gifts - Irish Gift Shop - Guinness merchandise, Bushmills merchandise, Aran and Avoca., The best Irish giftware shop on planet earth! 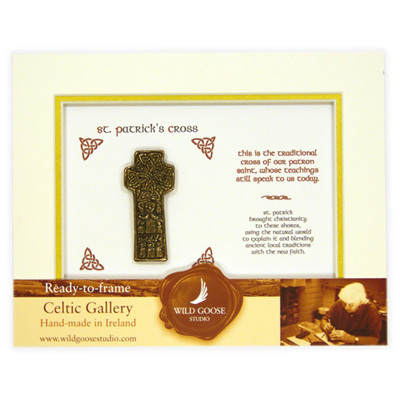 From the Wild Goose Studio in Ireland a hand made (bronze coloured) Irish pewter St Patrick's Cross, intricately decorated and mounted in a frame border and ready to be either displayed as is or placed into a more substantial frame. Also features a famous Irish saying and an explanation of the significance of St Patrick in Irish culture.